It's time for dessert! 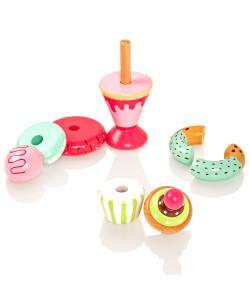 Beautiful individually handpainted wooden play food set features ice cream sundaes, donuts, cupcakes, biscuits and macaroons. 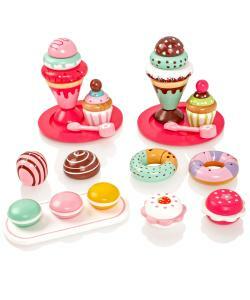 Childrens Roleplay Toy - Serve you're desserts on the cute wooden plates or serving board with the spoons. 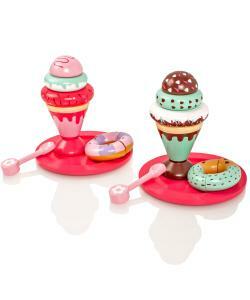 Mix and match the sundaes and cupcakes to your own style. 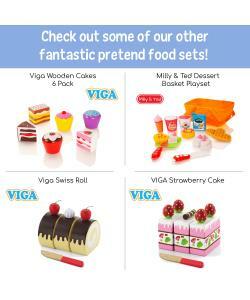 28 Piece Set - Includes 2 x inter-changeable ice cream sundaes, 2 magnetic donuts, 2 inter-changeable cupcakes, 4 cakes, 3 macaroons, 2 dessert spoons, 2 serving plates and 1 serving board. They look good enough to eat! 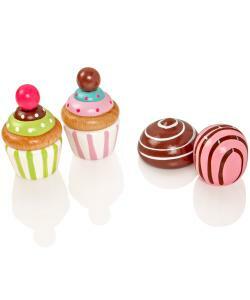 Each highly detailed wooden treat has been individually designed to look fun and realistic. 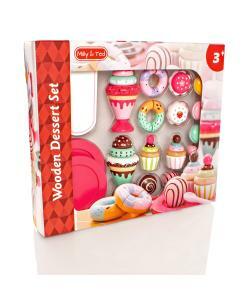 Children love nothing more than to roleplay, and with this delightful wooden dessert set by Milly & Ted, they can hold their own afternoon tea party with 39 beautifully painted wooden pieces. Each piece is delightfully painted to look fun and very realistic. What will they decide a serve? 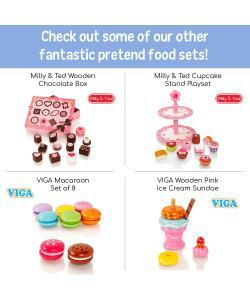 Maybe an ice cream sundae, a cupcake, or maybe a mixture of them all! 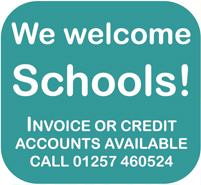 The set comes in a well presented colour window box.